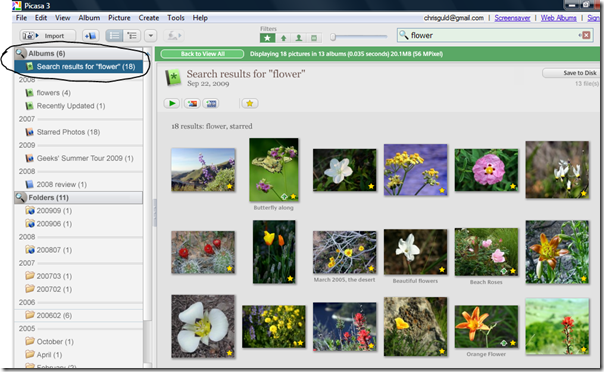 Combining Stars and Tags – Learn Picasa and Google Photos! From now on, anytime I search for ‘flower’ – these 4 pictures will be included in the search results. But, not all 212 flower pictures are worth showing to others. To limit the flowers to only my best pictures, I use the Filter button for starred photos. 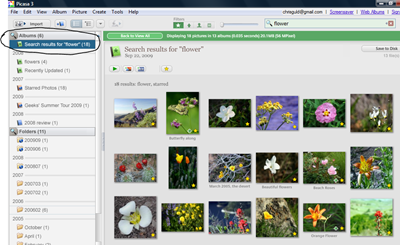 The combination of searching for ‘flower’ and filtering to Starred, results in just 18 of my best flower pictures. 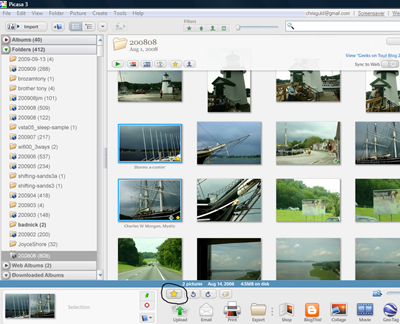 My pictures from my Kodak EasyShare Z740 camera do not go into Picasa when I download them from the camera; they go into the Kodak software program. 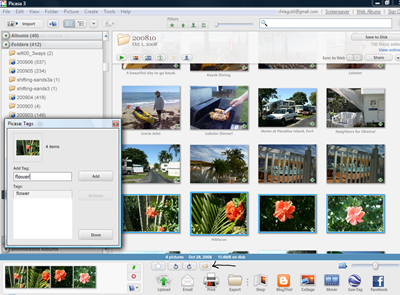 How can I get them into Picasa without going into the Kodak program? 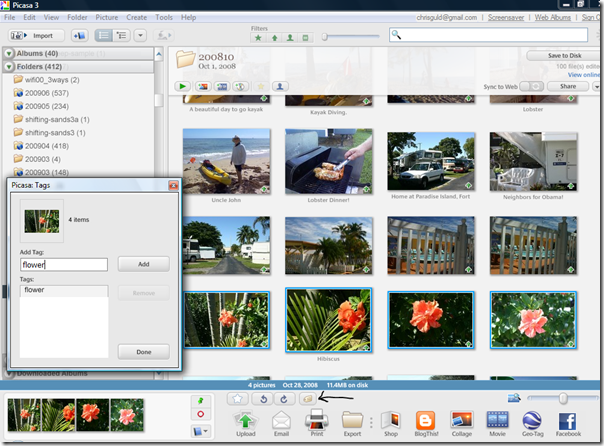 In Picasa, use Tools / Folder Manager. 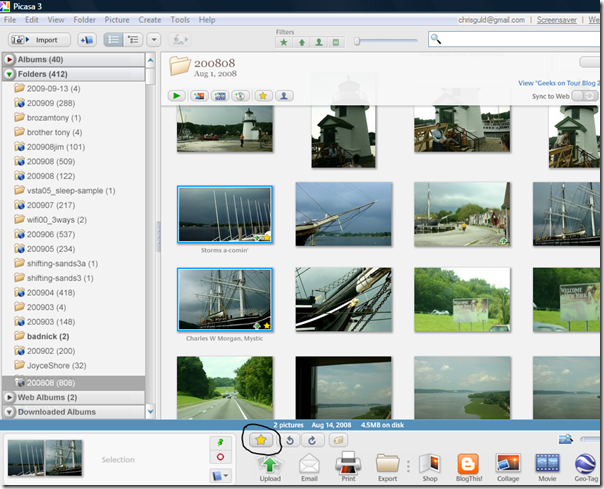 Find the folder where Kodak EasyShare stores the photos (e.g. 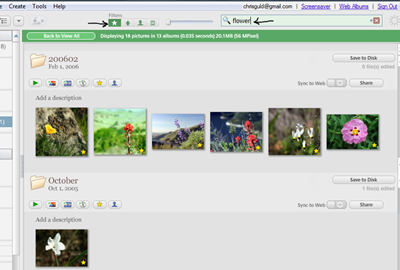 c:programskodakphotos) and click the option to ‘Watch Always’.